My second and longer presentation at GDS 2011. I spoke about how I got from one-man-show development, to 1mil EUR investment, to a team of 20 fulltime developers. Sorry, it's in Slovak language only. Moreover, the audio quality is not only bad, it's awful. Interview with Marek Rosa, held at GDS 2011 by TV Show "Indian"
Czech-slovak speakers only. BTW, my interview is just a small part of the whole video. I liked talking with the Indian crew. We had a good meaningful dialogue. Not like that other interview two months ago by other TV show. My first and shorter presentation at GDS 2011 - for Czech-slovak speakers only. Last weekend we had Game Developers Session 2011 here in Prague. My company Keen Software House was the general partner of the conference. We were showing Miner Wars, people enjoyed it and they were surprised by Miner Wars 2.5D (which we haven't officially announced yet) - and they seemed to be really interested in it. It seems to be a good concept! I had a presentation and its topic was: Getting a 1 mil EUR investment was super-simple! 10 months ago I signed an investment deal with my investors. They have put 1 mil EUR into Keen Software House / Miner Wars. I spent only 3 months in the investor searching phase and at the end there were 3 different companies wanting to invest. Then it took only 1.5 month to finish legal papers and get the first money. It was that simple! Super-simple. Of course, it was that simple only because I did my homework and spent 2 years working on the prototype, released the pre-alpha and most importantly: sold a couple of thousands of preorders. How did I convince the investors? What wouldn't convince the investors? How to pick the right developers and "fire" the others. What feature is going to be the KILLER feature of Miner Wars? This post is intended to open a discussion. My mission is to find the single thing that will make Miner Wars remembered for centuries. Our team already has some ideas, but what we need is the voice of the people. 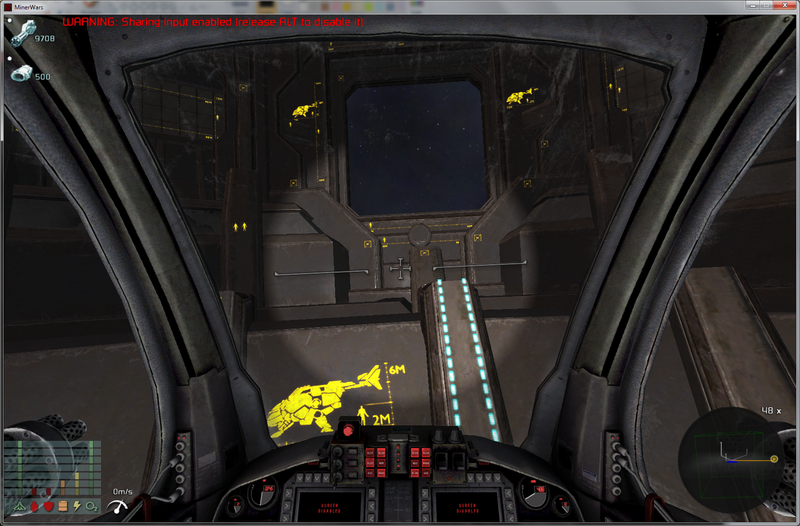 When I started Miner Wars project I knew I need some special feature, something that other games don’t have. At that time I didn’t care about genre or type (strategy vs. FPS shooter, car driving vs. space shooter...). The only important question for me was “what's the most original game feature?”. Then I got this idea with destructible environment, mainly inspired by old DOS game Tunneler http://www.youtube.com/watch?v=8wcdIDr4jrU I felt that destructible environment is a cool and original thing, people will want to try it – and there was no other game that could offer that in those times. Putting the game into asteroids field, adding open space world, in-game editor, epic story, etc. were just extensions to the original concept - destructible environment. What is the KILLER feature of Miner Wars? What will be the KILLER feature of Miner Wars? What should be the KILLER feature of Miner Wars? In-game builder with prefab modules – you can harvest ore and build your own space station, in an open space or underground. Think about it as something similar to MineCraft, although I have never played it, so I can only assume. Huge open world - free traveling in our solar system – from Sun to Earth to Mars and further – with landing too, although since all planets in Miner Wars world are destroyed, you will actually land on scattered ruins of the Earth. By KILLER feature I mean: one single thing that people will talk about, philosophers will convey never-ending discussions, minstrels will sing sonatas and players will die for. Is there any brave soul who can give me an answer or an opinion? The guy in the white shirt is me... although I can't believe I look so weird :) Camera doesn't like me. Lately you have been crying and demanding a new footage. Since we like spoiled kids, here is a small demonstration of our latest advancements in VRAGE rendering. All these phrases such as SSAO and HDR are almost a standard feature in current AAA video games - but I wanted to show them, because our lead rendering programmer Petr Minarik took a special care to make them extremely beautiful! Other than that: the next big milestone is to finish playable sandbox single-player story mode. Once it's done, the game will finally start to live. Sectors will get filled with asteroids, debris, space stations, rats, mosquito and pedestrians. We are not far from that, maybe 2-3 weeks. Yeah, regarding my "personal life" - I was finally able to spend a full weekend programming. Not just doing design and architecture, but actual programming. That's very refreshing. My mirth has disappeared at Monday morning - once there are people in the office, I am interrupted at least every 5 minutes. I don't know if people want to talk with me because of my friendly personality, or they just enjoy bothering me, or mix of these two... what do you think? New Miner Wars logo is in the production (by our genius artist Filip Novy) - you can see the first sketch in the video above. In Miner Wars we always had issue with how to show to player the real size of objects around you? How can you "feel" that a tunnel is wide 20 meters and not 2 meters or even 200 meters? In standard FPS games this is much simpler, because you know that you are a person and how tall an average person is, you also know how large are buildings, doors, windows, cars... all that helps you perceive the dimensions and scale easily. In Miner Wars and in space in general it's not that simple. You may encounter huge objects, corridors or docks, but since you have no comparison with objects of daily use (ie. grass, people, trees), they may seem much smaller than they really are. Some of the large prefab modules - chambers - may have 300 x 200 x 150 meters (= 9 000 000 m3) or even more. And consider the whole space stations made of several these chambers and hundreds of smaller ones. Our current approach is to introduce helper markers and objects. We will be putting these markers on walls, next to doors and entrances or as 3D holographic objects in space to show the player how big the objects actually are. Look on these pics, they will show you more than my words. We really want to hear your suggestions and ideas on this topic. 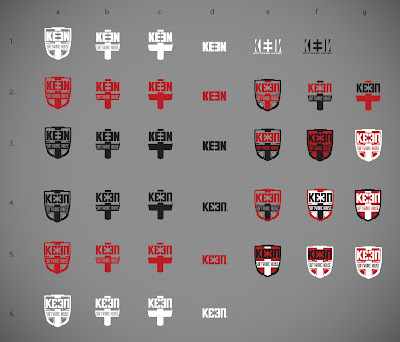 Should we make also another type of marks? What type? What should it show? Or other type of 3D object? Or some virtual grid showed in HUD? Or sphere around your cockpit? The last release on the 30th/31st August was the first one after 8 months of awkward silence. Now it's the time for some reckoning. standard misunderstanding between the Test and the Public Build led to confused users, hatred and even wars! there were more bugs than what am I used to and what can I personally accept - so this is a big area for an improvement. One of the steps we took was hiring a new part-time tester. We have chosen a route where we want to keep doing frequent releases. That's very risky thing, because we have no time to stop the development and focus entirely on fixing and stabilizing. There's still an ongoing development. We could easily damage our reputation with having not-so-stable releases. But I am sure we will figure out something and our releases will be stable again! Since we have such a great community I decided to use your help in deciding whether we should open Test Build for every paying customer. Let me repeat why not everyone gets into the test build: we want to upset our customers! Yes, that's step one. Step two is ***. And finally step three is profit. But really - the only reason was that we wanted to limit the number of people who get into the test build and see the unstable and unpolished version of the game. We didn't really realize that many people who can't get into the test build would feel cheated and betrayed this way. So right now we are considering to open the test build to every paying customer. Probably starting with the next release. 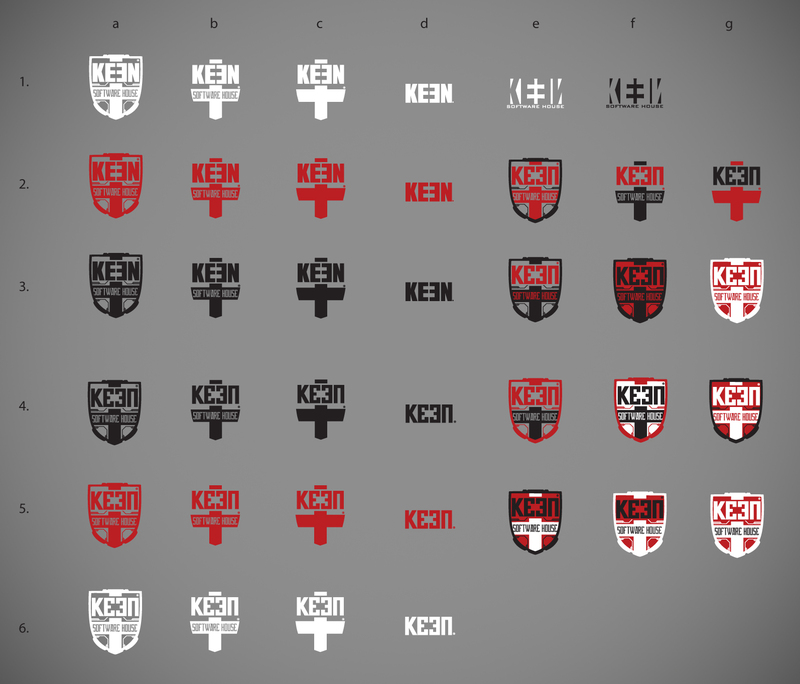 Let me know which logo do you like most. And don't tell me they all look "nazi". New Pre-Alpha Public Build featuring in-game editor is out! New release - TEST BUILD - is out! Finally after 8 months of a release silence, we will have a release! First one will go 30.8.2011 to the test build environment and the day after to the public build environment. We are not going to announce it loudly because first we want to test the new auto-updater functionality. All of you who watch our forum will be informed soon enough and you will get a list of new features, screens etc. One of the new features is peer-to-peer downloading. What does it mean? Until now, when you downloaded the setup file for Miner Wars or when you launched the game and it detected an updated version and then downloaded it - all these data came from our server at Amazon S3 and we had to pay for every single byte. Not anymore! From now on, everyone who runs our setup or auto-updater seeds the data to other people. This helps us to keep low traffic costs. The good thing about this is that you will be seeding only while setup or auto-updater runs. After it's done, no more uploads for you – we hope to use this function especially for after-release traffic peeks, when many people download the new release at the same time. Saved money goes to charity and our pockets. By charity I mean more money for development - better and greater features. Everyone will be happy. If you are interested how much money we speaking about, here is a simple math: we pay roughly $0.090 per GB. If we assume that one customer generates about 1GB of traffic by downloading the setup file and then a couple of updates, then 100,000 users generate costs of $9,000! That's not a killer, but I am personally scared to death by a vision of having 1,000,000 users and paying $90,000 or even more, because things can go only worse - people can start downloading like crazy, uninstall, reinstall, update, and all that would generate a lot of traffic. EDIT: The new peer-to-peer setup will be postponed to next release due to some difficulties we have encountered during the last testing phase. On Friday we started having outages on our server. Very strange thing, monitoring tools didn't show any hardware or software failure. Server just kept restarting every couple of hours. We knew that one day we would need to move to a more reliable environment, not depending just on one piece of hardware. However, there were other priorities, so we were postponing it. But now we were pushed by upcoming release, so we had to make a quick and brutal decision. How to pick up a cloud server provider in 1 hour and during weekend? Well, that's simple - I already knew RackSpace and their portfolio of products, that their clouds have persistent storage, that they support people online 24/7 etc. - so I just visited their site, made the registration, created and configured new cloud server and within 30 minutes we had a new server. Then we moved there our web sites, databases and game services within a couple of hours. The best thing about the cloud server is that when the physical hardware it runs on dies, they restart our server from the image within a couple of minutes. No worries about configuration, backups, etc. In this post I decided to clarify some numbers I touched in my previous post only slightly. Especially traveling speeds and times. Of course, there also are sub-classes for each of them. 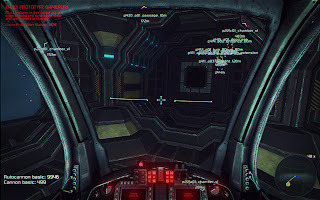 The current max speed of player controlled ships is 200 meters per second. We may increase it in the future and we may also set a different limit for each sub-class, but let's just assume that the max is 200 m/s. 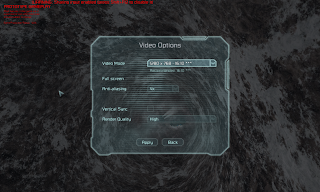 EDIT: The reason why we chose 200 m/s is that every physical engine needs to have some limits due to "tunneling problem" - if the game needs to calculate 60x per second if objects collide with the environment and if you have one extremely fast moving object, there's a chance that the game will miss one collision check and your object will fly through an obstacle. There are ways how to solve this but they would demand more performance. Well, and there's also a second reason - we feel that the game play is going to require not that fast ships, otherwise players would have troubles aiming, chasing, following (just imagine an enemy who moves like a flash - how funny would it be to shoot at him?). BTW, there's also one more hack: we limit the speed but that's actually not possible in an open space - it contradicts first Netwton's law "The velocity of a body remains constant unless the body is acted upon by an external force". But we had to do it, otherwise players will be able to accelerate to infinite speeds. 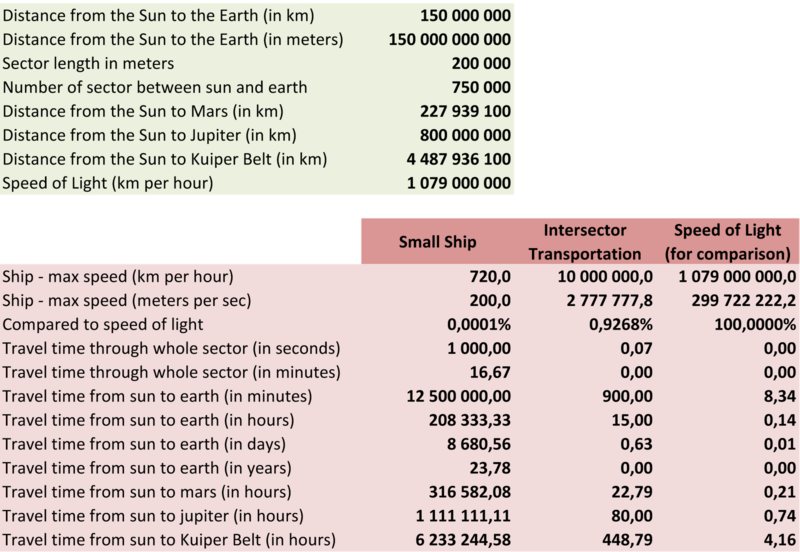 Following table uses real distances between the solar system bodies and shows how long it would take to travel between them. 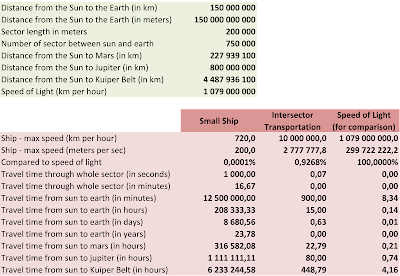 As you can see, it would be really impractical to do long journeys using your small ship. For long distances you have to use a mother ship. This is how it's going to work in the single-player Miner Wars 2081. Of course travelling can be accelerated using a "Traveling Screen" - nobody wants you to sit 15 hours in front of your computer and wait until you get from one side of the Solar System to the other. However, in Miner Wars MMO it's going to be different. The universe will be shared by all players, so travelling speeds need to have some realism. Pure teleportation (instant traveling time) from Mars to Earth would certainly break a lot of game mechanics. At the same time, sitting and waiting for several hours in front of your computer is not much fun (at least not for me). So here we would probably use faster mother ships, which will almost reach or even cross the speed of light - but only for the sake of fun. E.g. traveling from Sun to Earth would take 2 minutes, but travelling from Earth to Moon would take just couple of seconds (or less...). If you are curious what are the sectors in Miner Wars, you can look on the following picture. Each of those squares represent one sector. Of course, in this drawing the sizes are not real - it's just an abstraction. On a different topic, last week Petr Minarik got to finish the implementation of dynamic shadows for the Sun. Until now the game used a trick - the whole space was split into hierarchy of cubes where the smallest one was only few meters in size. The the game was calculating whether the cube is visible from the Sun and used this knowledge to put an object or voxels into a shadow. Advantage of this approach was that it was fast for rendering (almost free). Disadvantages were that it was static (although in case of voxel destruction, we were able to recalculate cubes stricken by an explosion - so it was dynamic) and also that we were able to put only whole object into a shadow. We were not able to say that only some polygons of an object are inside a shadow. 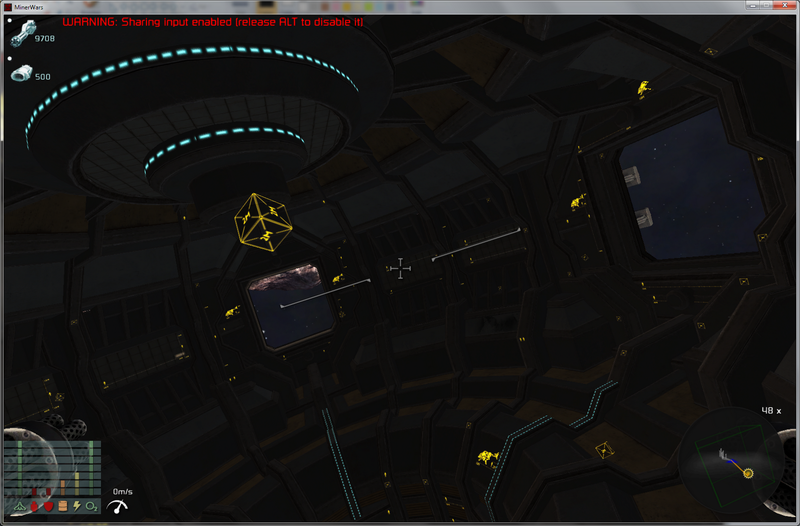 This worked well for small ships and particles, but not that well for large ships and space stations. For example, we would never be able to put only half of a station into a shadow. A few months ago we decided that objects in Miner Wars need to be completely dynamic. So we also needed dynamic shadows for the Sun. After analyzing few algorithms we decided to go with cascaded shadow maps. We use four cascades, each one is 1024x1024. In next couple of days we plan to implement blending between cascades and do some optimizations - especially limit the number of objects rendered into each cascade. There's also a chance that we may do seamless LOD transition inside shadow maps - rendering high-detail close objects in one shadow map, and low-detail distant objects in another shadow map, and then blending the result in Sun light-pass. Advantage would be that also very distant objects would cast shadows, and that you won't see any shadow popping when you come closer to those occluding objects. Limitless and fully dynamic environments in Miner Wars! 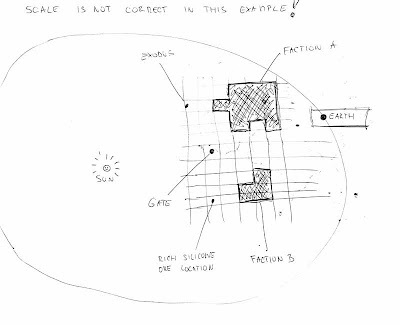 Recently I started looking more into how are we're going to generate the environments for Miner Wars. The game is going to be played within the whole Solar System, an area which has about 1000 million kilometers in a radius, real planets and moons, real travel speeds, no boundaries and a fully dynamic environment. Before I continue - when I say “real planets and moons” - I actually mean pieces of planets and moons scattered all around after the disaster of 2071. You will get more details on this later in our story. We can’t manually design all these objects, there’re going to be millions of them. We have to generate them procedurally. Positioning objects – objects will be placed on a roughly real positions (e.g. the distance between Sun and the Earth will be 149 million kilometers). Other not important objects will be placed on semi-random positions - something like fractals. Object types – voxel asteroids, space stations in open space, space station inside asteroids, static and indestructible asteroids, dusty areas, debris fields, space cities, etc. Voxel asteroids – current max size is 8x8x8 kilometers, although I believe we will be able to increase it in one of the next development iterations. There’s one idea I got just recently – if interior parts of an asteroid will be non-destructible, than we can save a lot of memory by compressing those places and we can support much larger asteroids than if they were totally destructible. Also procedural generation of asteroids is simple, we have about 100 basic shapes and the only thing we need to do is to randomly merge these shapes. 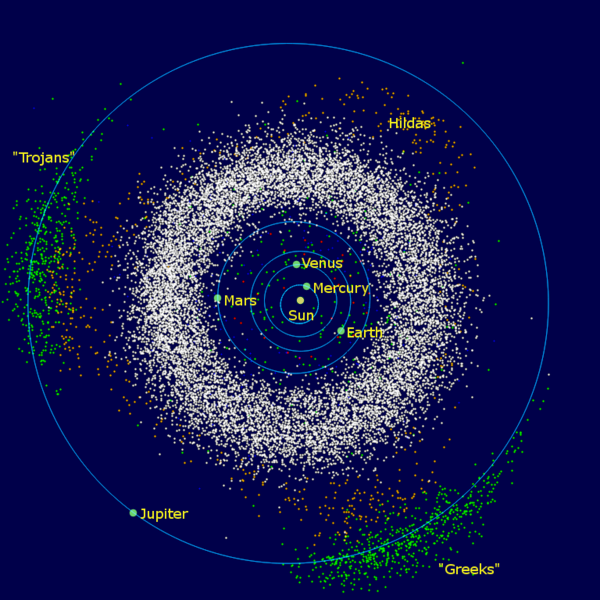 If you do a couple of additive and subtractive merges, you get an almost unlimited variety of asteroids. Space station in open space – these will be handcrafted--as we don’t believe we are able to procedurally generate stations that would be fun to visit--they need to be done by a human designer. Space stations inside asteroids – same as space stations, except we need to dig tunnels into an asteroid before we place a space station inside. 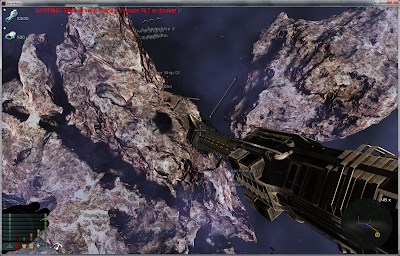 Dust clouds, debris field – these are simple to generate procedurally. The game doesn’t render all these millions of objects in each frame; that would be impossible. Instead we split the space into a regular grid of sectors, where each one is 200 x 200 x 200 kilometers in size. 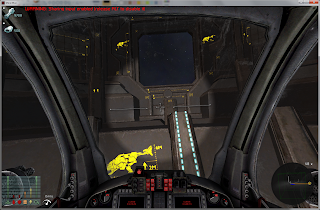 The game holds objects only within the current sector. 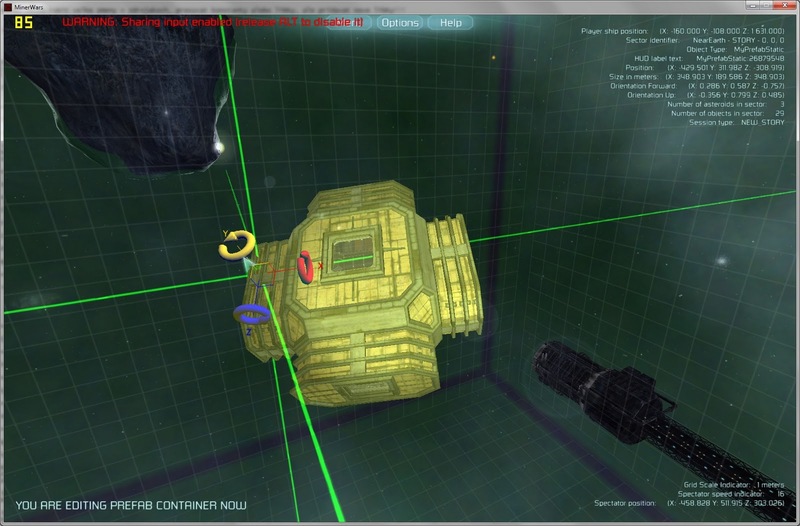 When players travel from sector to sector, the game has to reload all objects from a new sector. This isn’t a burden at all because it takes about 16 minutes to travel from one side of a sector to the other. Memory requirements – the game is designed to fit within 1 Gb of RAM therefore we need to save memory as much as possible. For voxels it’s achieved by using many levels of real-time compression. For space stations it’s similar, each one is made from prefab modules and the game needs to hold just the position, orientation and type of a prefab module. If we place 100 prefab modules of same type into a sector, it doesn't increase memory requirements by factor of 100, only by a fraction of it. What about objects in the background - since the game only really renders objects within the current sector and remaining objects needs to be put on screen too, we pre-render them into a cube texture, which is then rendered on-screen. 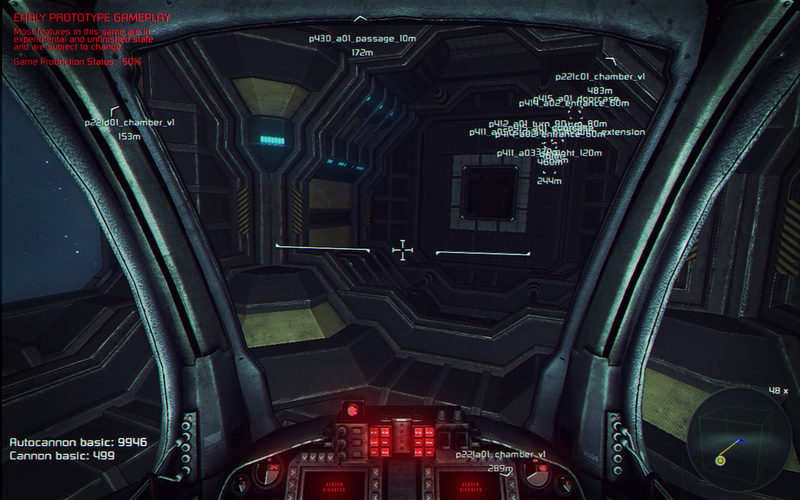 This texture doesn’t change while you are in a sector, only from sector to sector. And here comes a new challenge: Because a year ago our plan was to have just few of these standard backgrounds with the Sun, Earth, other planets, some galaxies and stars... but we have changed the story a little and now it’s possible to travel to the Earth, Moon, near the Sun, etc., so we now need an arbitrary number of backgrounds. You need to see Earth's ruins while you're traveling to it--even if you're sectors away. I don’t know yet which way are we going to choose: whether we possibly pre-render them in-game during the loading phase, or maybe during the offline game build process; alternatively we may just generate them in 3DSMAX using a script. It’s still open. I just know that the backgrounds need to look great! EDIT: I forgot to mention that all objects are stored only on our servers and client downloads only what's in his close proximity (in his current sector). Therefore no worries about having gigabytes of data on your local hard drive. 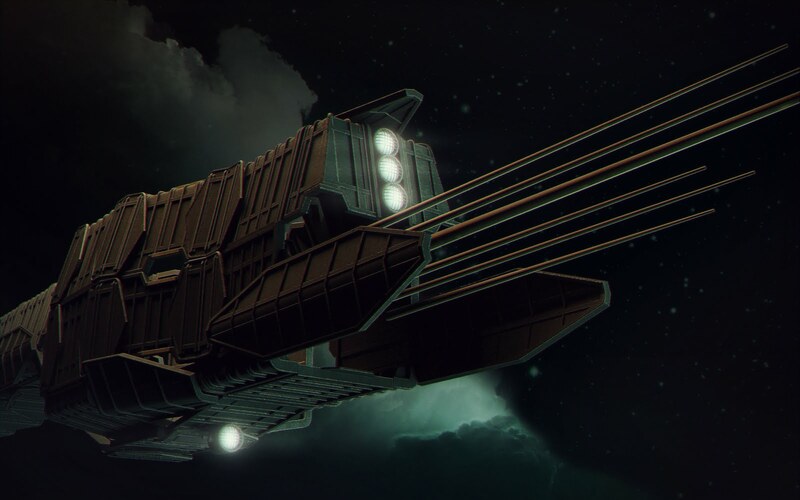 Rastko Stanojevic (3D Artist) works on the intro video for Miner Wars 2081. I don't want to spoil too much so here's is just a small preview - not revealing the details! Filip Novy (3D Artist) has prepared these great scenes - just by configuring in-game prefab modules. It took him only 15 minutes. Every Miner Wars player will be able to do the same thing very soon! Next release of Miner Wars is coming this month - we are stabilizing and finishing as many features as possible. Not really adding new stuff, just making existing features stable and polished. We've also been taking care of a few garbage collection issues: For those who don't know, if you allocate new object, depending on your situation in heap, it may trigger garbage collector to free up unused memory - which can show up as a small halt in execution. The game would just stop for couple of milliseconds. allocating structures is fine, because that's done on the stack. I can't track all these places manually by analyzing the source code, so I use "Memory Profiling" tools. What I usually do is launch the profiler, let it attach MinerWars.exe, and look for new allocations. If that's not possible then I make a memory screenshot, wait 1 minute, make another memory screenshot, and let the profiler compare results. Final report shows the list of objects created between the first and second memory snapshots. Next, track down the code where those allocations were executed and let know the programmer about it. The lucky thing is that we don't need to do performance profiling, the game is running really well. But just for curiosity I did the analysis, and to my surprise the most expensive method we use is the calculation of sound occlusions. That's our own method which calculates "visibility" between a sound and the player. The result is then used to set DSP/RPC parameters to the sound - so those who are behind an obstacle are more "occluded" to the sound. Another week of Miner Wars development is behind us. I bring you some insights into our progress. Slobodan got a new camera, so we took a photo of the development gang. Only people available in Prague were shot - you can't see Dan, Nick and Ansel (they will be faked-in in an official version that's gonna be released shortly). It has been a long time since we played Miner Wars on a really old hardware. We have one computer just for this purposes, an as old as hell - GeForce 6600 with only 128 MB video memory. 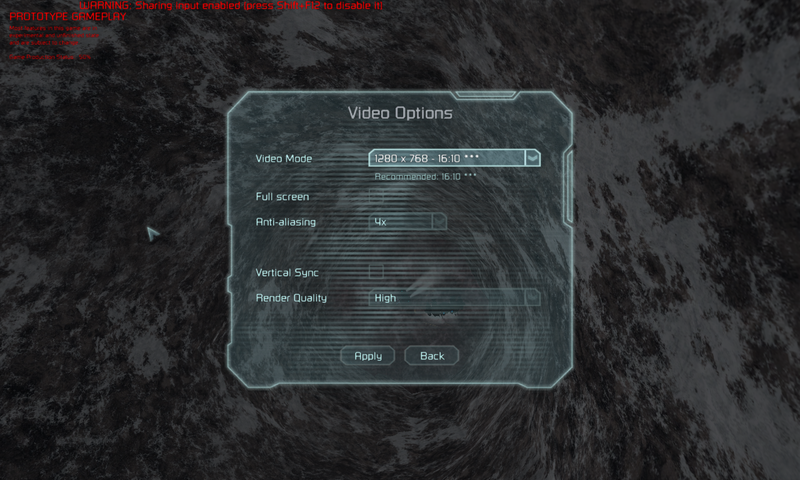 I was extremely surprised to see Miner Wars running smoothly at 20-30 FPS. Not even on LOW settings, therefore executing GPU-expensive algorithms such as SSAO or our own (yet simple) post-processed anti-aliasing. Our proprietary Image Space LOD (level of detail) is really a miracle! Guess who is the author! 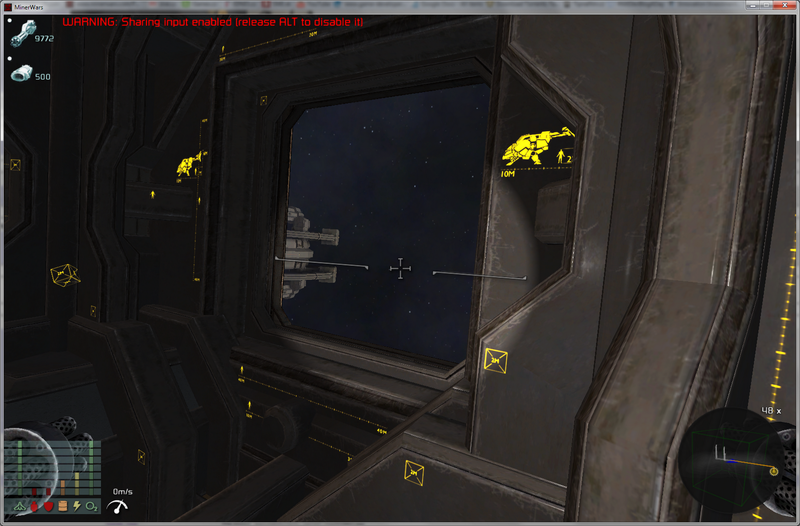 In-game editor is shaping nicely, although still needs some touch-ups to make it mega-intuitive. For this purpose we are going to organize a series of "usability" test sessions - right here in the office. We will call random people (e.g. the president of the country, or that crazy guy dancing on the bus station who also claims to be the president), let them play with the editor, and observe how they are doing. 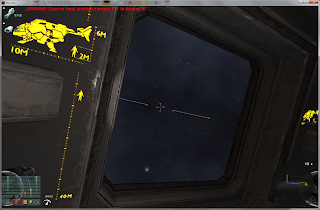 The physics engine has been almost completely rewritten. It's stable, even for objects at large positions (tens of thousands of meters from the point zero). It's multi-threaded - we use custom-made parallel tasks library. One of the features that still needs to be changed is the new way of 'head-shaking' and some of the 'head-acceleration-reaction' equations. Actual GUI looks cool, we decided to go with 'holographic design', transparent, futuristic, satanistic and saturated colors. This way it looks sci-fi. We wanted to avoid 'stone design'. We had an interesting issue in the part of the engine holding the list of active objects (voxels, player ship, mother ships, AI). Someone made a mistake, and every object was loaded twice! We found it when we noticed that every object and its ghost version (which wasn't supposed to be there) were colliding -- we had hundreds of collisions per frame. Of course it's fixed now, but it did get us to implement one nice feature (added into developer screens that you can use in TEST build) - we can display every collision in the game HUD as a navigation point! Actually there are so many cool options in debug/developer screen. Cracker's paradise! I finally got to play Prototype (on PC). That game has such a perfect controls (occasionally there are some glitches, but who cares?). I really like all the jumping on skyscrapers, gliding, throwing trucks and people -- this is how gameplay and game mechanics make a great game. The following week will be mainly about stabilizing base code and making sure that what's implemented is perfect and looking fantastic. The next big release is knocking on our doors! Photos from my trip to US, sorted by date, showing my journey: San Diego, Mexico, Los Angeles, E3, Las Vegas, Nevada, Arizona, Grand Canyon, Phoenix, back to Los Angeles, Universal Studios Hollywood, Hollywood Blvd. (and that's basically it). Mexico is fine, tacos and burritos, although I expected it to be extremely cheap which didn't turn that way. I changed my mind regarding automatic gears in car... they’re better than manual! Universal Studios Hollywood - I can only recommend - good attractions - for example the one showing Water World... they had explosions and a man set on fire... cool stuff! But don't trust their ALL YOU CAN EAT PASS - it's about $20 or so, they’ve only got about 4 different meal types, and all of them are more “pass” than “all you can eat”. There are two photos above which show the former (or current?) house of Mike Tyson. Hospitality issues - some places in US and especially Las Vegas have so many customers that they don't care about you or your satisfaction. It's worse after you actually paid and now expect some services. They just don't care. They make sure they put “NO REFUND” declaration on every paper you sign, so if you don't like what have you paid for... well, then just F*** OFF. A positive outcome of this experience is that I have realized how customers feel when they haven't received what they've expected and paid for in a good or service. I am going to do everything in my power to not let that happen to our customers - Miner Wars fans.